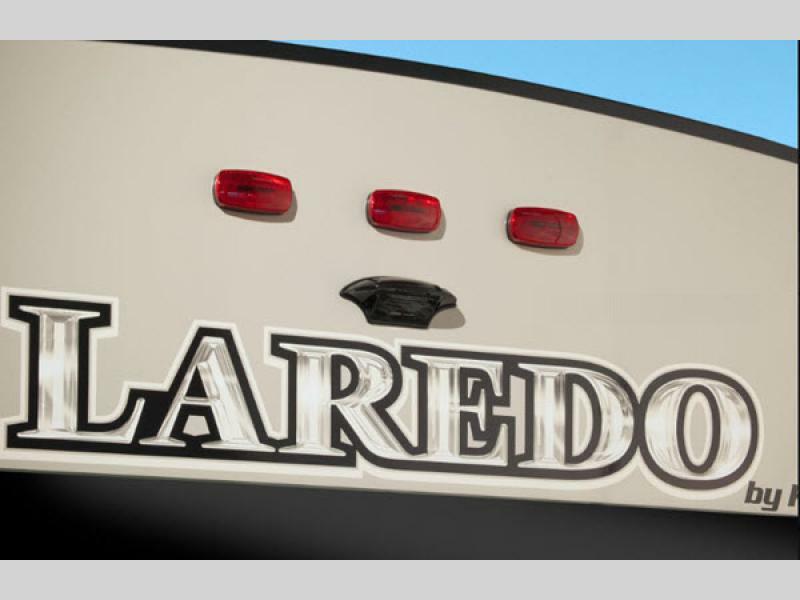 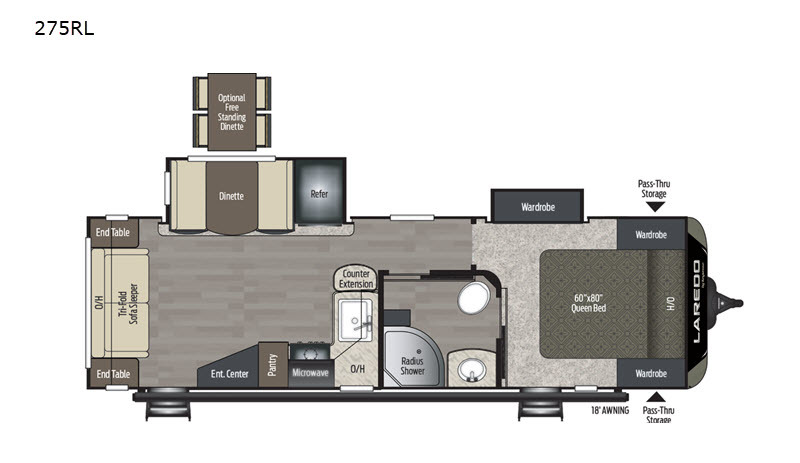 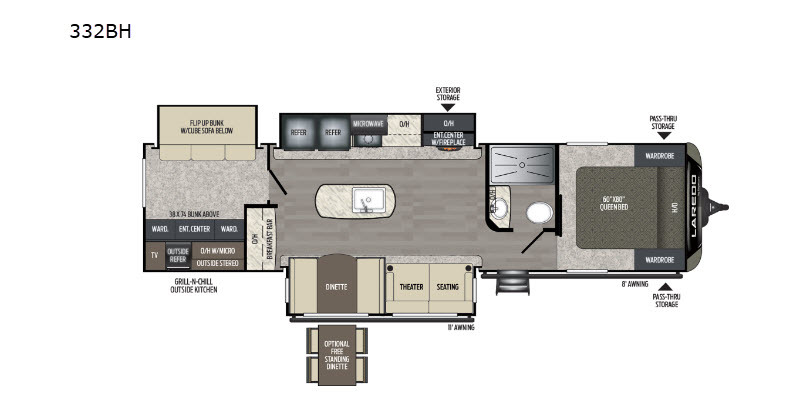 Enjoy life-sized camping from the leaders of affordable luxury with a new Keystone Laredo travel trailer or fifth wheel! 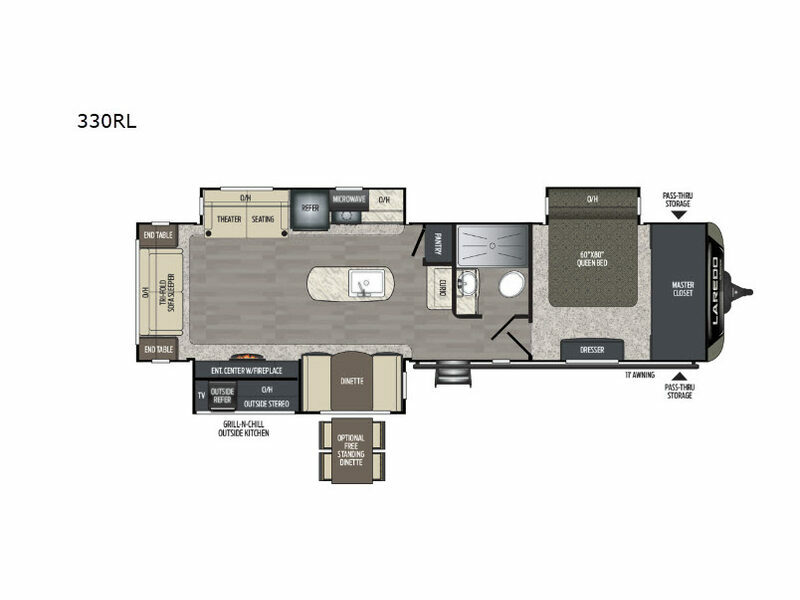 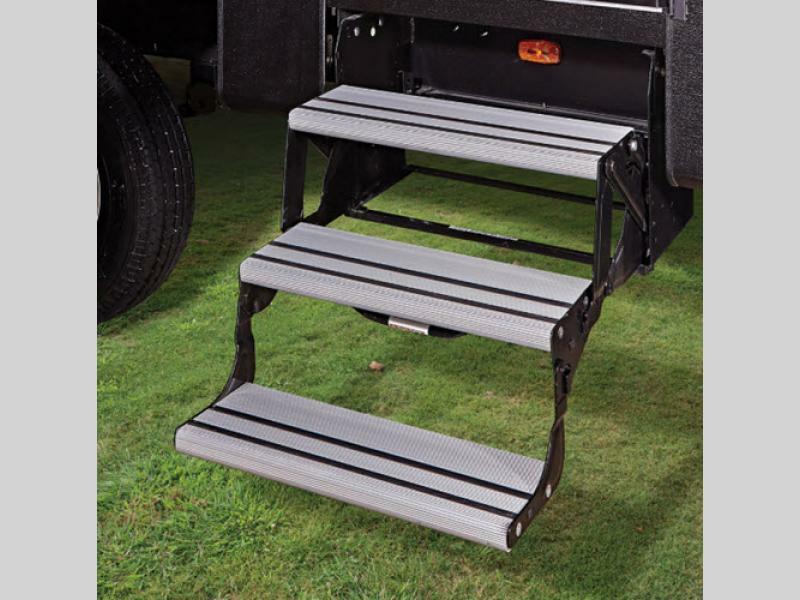 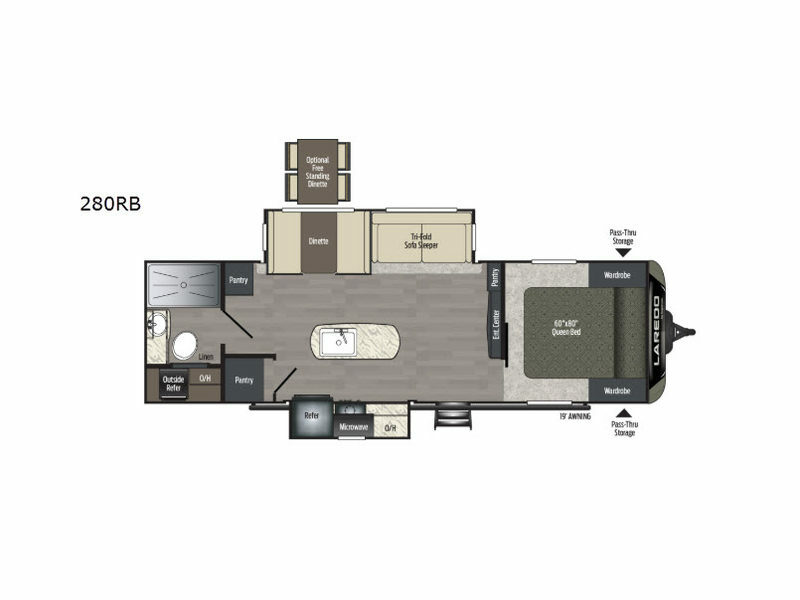 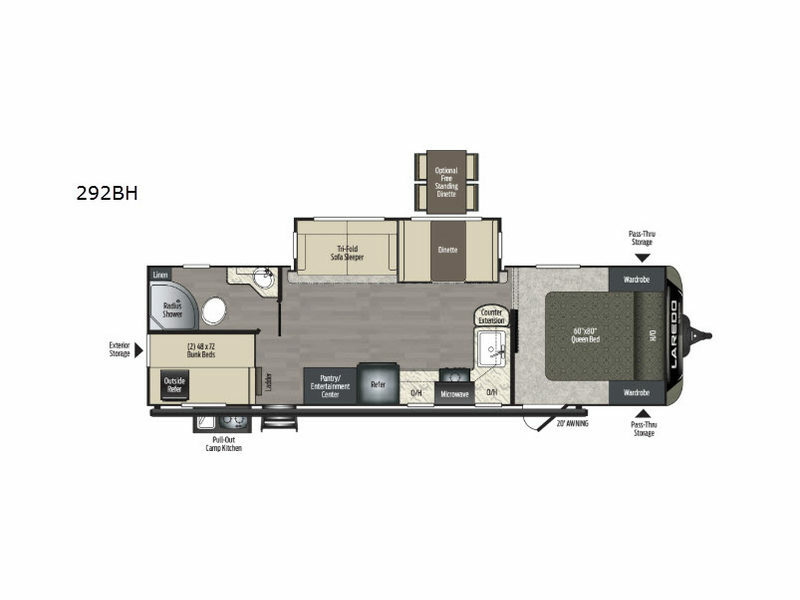 No longer will you have to suffer through smaller RV-sized features because the Laredo doesn't compromise when it comes to capable amenities. 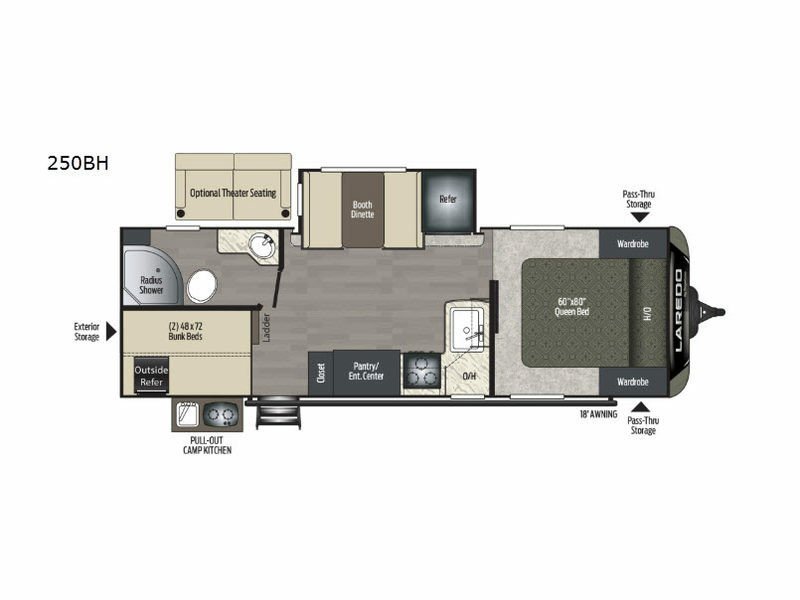 The "Life-Sized" amenities you are used to having in your own home have been included in each of these Laredo units with a variety of floor plans that will suit and enhance a myriad of needs and lifestyles. 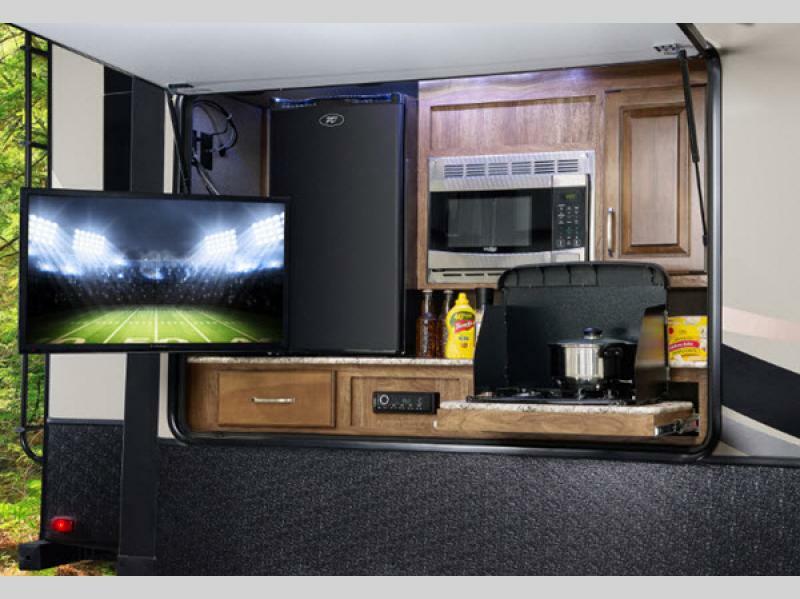 Each model includes Keystone's exclusive KeyTV providing a multi-source signal control that improves signal quality and television operation, and they also include an aerodynamic painted front cap, a fully enclosed and heated underbelly, and an oversized lighted and heated pass-through storage compartment. 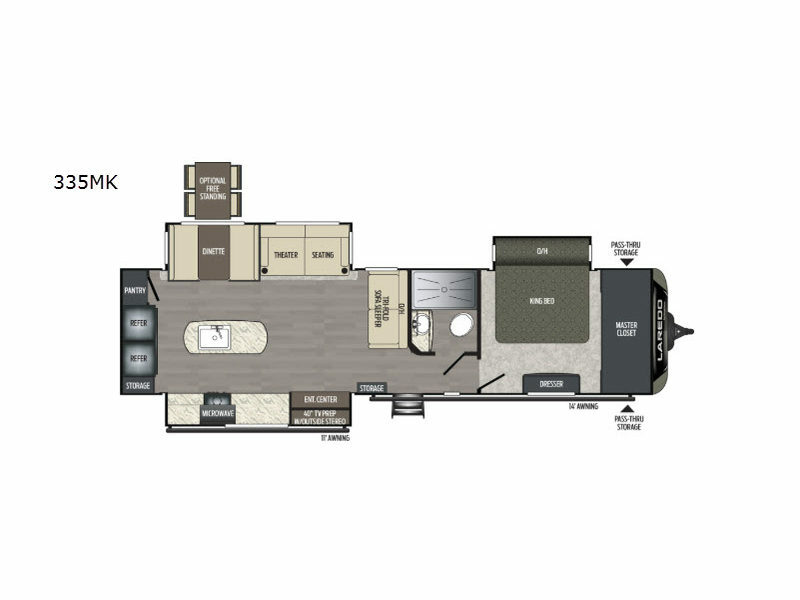 Inside you will enjoy residential-grade carpet, large residential showers, a high-rise faucet with a pull-out sprayer, and an arched ceiling. 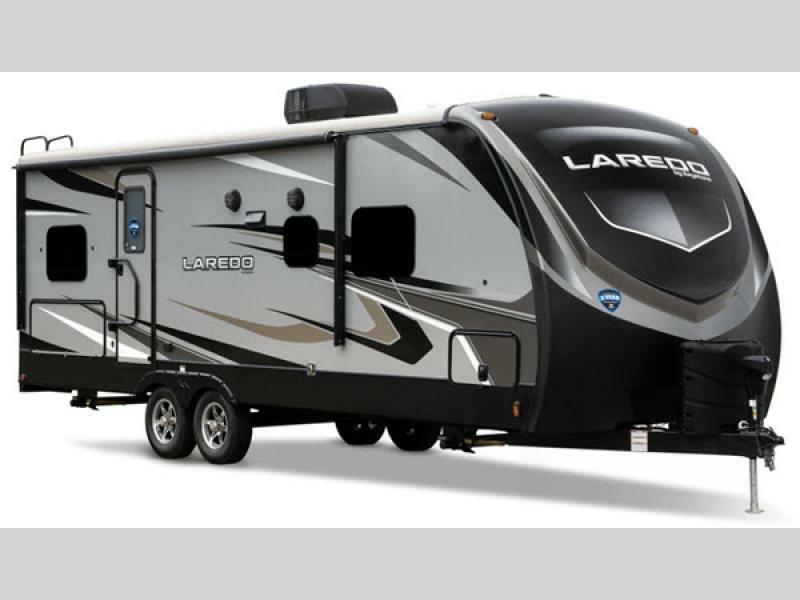 If you are tired of settling for less and are ready for your very own "Life-Sized" camping experience, then it is time for you to treat the family with one of these Keystone Laredo travel trailers or fifth wheels!